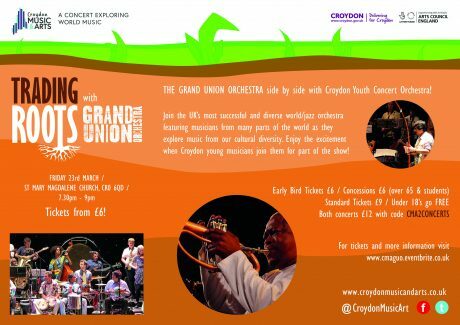 The latest large-scale Grand Union project with Croydon Music and Arts culminates next week – on Friday March 23rd at St Mary Magdalene Church. As a taster of what’s to come, enjoy this 2 minute compilation of highlights from Music Untamed, Fairfield Halls, Croydon in March 2016 with musicians from the Grand Union Orchestra and 300 young musicians from Croydon Music & Arts. Go to www.grandunion.org.uk for full details.